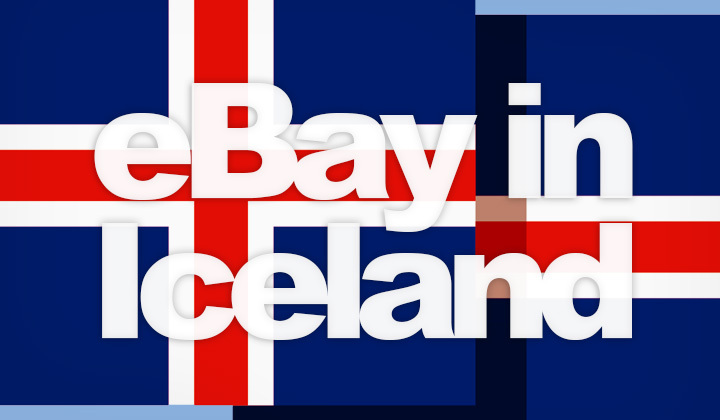 As there’s no equivalent site in Iceland, eBay is popular amongst both buyers and sellers. Especially after EU import tariffs were lifted in 2017. Here’s my guide to eBay in Iceland, in English. While eBay is a highly popular marketplace for Icelandic sellers to sell overseas, this also means that Icelanders themselves can conveniently make all sorts of purchases within their own country, with buyer protection, and even in English. Also buyers in Iceland are used to dealing with English, which makes it a great meeting place for all kinds of trade internationally. Since 2017, there are no import duties on most consumer goods, such as electronics, clothes, etc. and therefore shopping within the EU is equally popular. Step 2. Click “Advanced” link, next to the blue Search button. Step 3. Go down on the page, where it says “Location”. Step 4. Pick Iceland within the “Located in” drop-down menu. Step 2. Search for items as you would normally. Step 3. On your left, you have a quick select option for “Item Location”. Choose Europe to narrow down all eBay searches to mostly the EU. While eBay has support for many international currencies from all over the world, Icelandic króna is so far not supported. You will have the option to either display all currencies in USD or convert pricing to seller’s native currency. The site also provides a great way to reach consumers in Iceland and by using the benefits of the Global Shipping Program, you can ship internationally. This is easily the best option for sellers who wish to deal in English language and want a modern interface, with global reach to Europe and beyond. Really there are no equivalents that come even close to what eBay is offering. But there is an option if you want to trade, most likely in person in Reykjavik. Bland is the largest online “classified ads-style” marketplace in Iceland and the only one in popular use. It’s used by Icelanders to buy and sell pretty much anything without much restrictions. Most of the items are located in Reykjavik. There is no bidding, auctioning feature or support for English. Their slogan is “New and used products, buy and sell”, the website was founded in the year 2000. It’s the first marketplace website of it’s kind in Iceland. Owned and acquired by “Magna verslana” since 2016. And that’s the only site a bit like eBay in Iceland. Hope you enjoyed the guide in English. Questions welcome! For your information, eBay has registered their TLD for Iceland at eBay.is however this is simply a forward to their main, international eBay.com version. Also, some of the alternative to, similar to, etc. posts on my blog have affiliate links in them when appropriate. This helps to bring quality posts for which I hope the benefit is mutual. Humble thanks for your visit, and clicks! Regards, David.